Monsoon is here and there is a long weekend on the charts too. How about taking that long planned road trip with your buddies? If you don’t own a car or don’t wish to drive down in your own car, then fret not, Zoomcar is here to save the day. 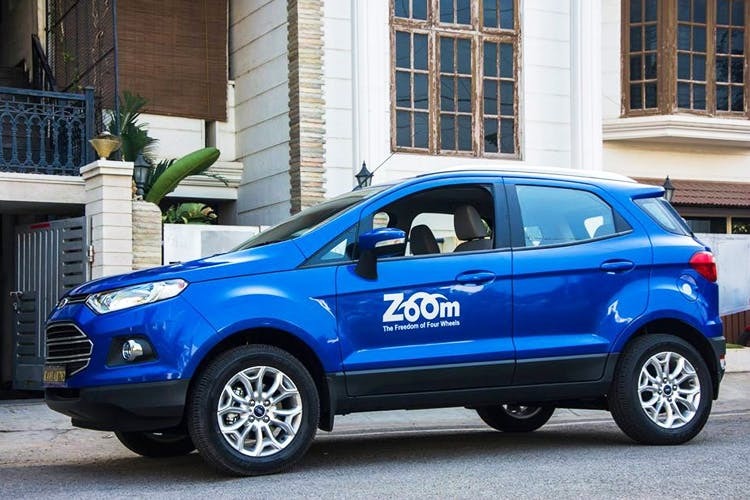 Zoomcars provide you the ease of ordering a car online and they even offer to drop the car at your doorstep if the location of the car pick-up is a tad too far from your own. They even give you complete freedom in choosing the car you’d want according to your taste or the number of people travelling. Top that, the cars are completely authorised and they don’t create a hassle in adjusting according to your time convenience. We’ve done some research for you which might come in handy. First of all, you can choose between their three packages – Zoom Lite, Zoom Classic and Zoom XL. In each of these, the fuel is included so that you don’t have to make stops. With Zoomcar, you get the added benefit of flexible pricing with Zoom-Flexi. As opposed to fixed rates, Zoom Flexi has a number of benefits. For instance, you may need a car only for short hours – to go around the city or for a quick dash to Lonavla and back. Zoom Lite is the most ideal in this case, as fuel-inclusive prices begin at ₹70 per hour. For slightly longer, one-day trips like Mumbai-Pune, the Zoom Classic is your ideal choice. Here, prices are consolidated to give you a better value for money package. It is for this only that Zoom XL is perfect for outstation weekend trips. There are no hidden waiting charges, no overtimes and other charges. In addition, you get 15 free kilometres of driving per hour, so if you take a Zoomcar to Goa from Mumbai, you can also drive around the city without any added charges! We’d suggest the Zoomcar XL for a trip from Mumbai to Goa. This Rental Car Service Rents Out A Mercedes-Benz For Just Under INR 5,500 And We Loved It!